People from all over Leitrim met in Drumshanbo on March 27th to form a Local Environmental Network for Leitrim. The participants came from all sections of the community – farmers,guesthouse providers, business people, scientists to name a few – to lend their support and thoughts as the Network came into being. The meeting was opened by Michael McGovern of Leitrim PPN, who welcomed the large attendance, and co ordinated by Leslie O’Hora of Carrick on Shannon. The Leitrim Local Environmental Network (LEN) will be part of a national umbrella group whose aims are to raise public awareness,engage in practical conservation work and campaigns whilst also lobbying for environmental and conservation issues at county and national level. It is an independent member group of Leitrim PPN like any other group. The meeting was addressed by Catherine O’Toole who shared the experiences and success of other county networks. Catherine is a Development Officer with the Irish Environmental Network. Other issues touched on……….self sufficiency….educating parents….schools……rewilding areas….organic….food markets…..fertilizer in food chain…. 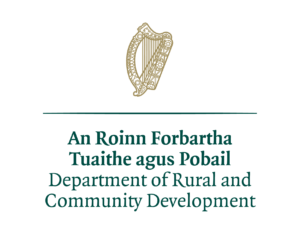 The meeting called for an Environmental Officer to be appointed without delay by Leitrim County Council: this was unanimous. People expressed their shock that one was not already in place given the big threats to nature that face the county. Next meeting was agreed for April 24th to be held at the Mayflower in Drumshanbo.